Hai everyone! 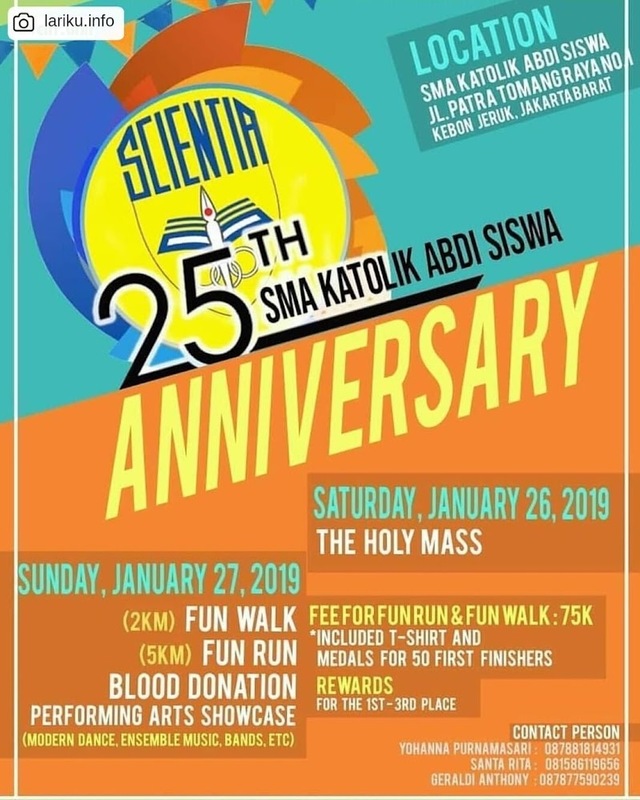 This time, Abdi Siswa Catholic High School will celebrate its 25th anniversary and we will hold shows and events that are no less exciting. There are a lots of activities you can join such as : Fun walk – Fun run – Blood donation And spectacular performing art showcase! So what are you waiting for, Come and join us and we will see you there!